Three years after AT&T Wireless subscribers found their cell-phone carrier was now Cingular Wireless, Cingular Wireless subscribers will soon be learning to call their carrier AT&T. 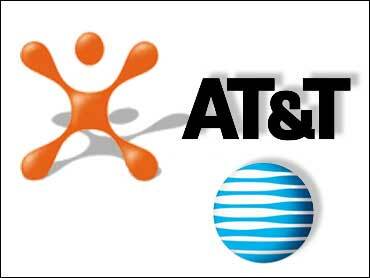 In the latest step of a confusing dance of brand names in the wireless world, AT&T Inc. will next week start its planned rebranding of Cingular, just two weeks after AT&T gained full ownership of the nation's largest wireless carrier through the purchase of BellSouth Corp. The multimonth awareness campaign will include inserts with monthly bills and promotional materials at Cingular stores advising customers of the coming change. Cingular's name and orange "Jack" logo, both created only six years ago, will continue to appear alongside the AT&T brand and blue "globe" logo until the company is confident customers won't be confused by the switch, AT&T announced Friday. But by midyear, it's "likely" the Cingular name and symbol will be disappearing from ads, promotional materials, trucks, bills, stores and buildings, said Wendy Clark, senior vice president of advertising for San Antonio-based AT&T. The only remnant to survive the transition will be the orange, which will be used for accent and background coloring for AT&T's cellular products and services. "Any time you see us talking about wireless, you'll see us use orange," said Clark. But as cell phone users tend to buy new handsets only once every couple of years, it's likely that tens of millions of Cingular's roughly 60 million subscribers will be toting around devices with the Cingular name and logo for years to come. In fact, a dwindling number of Cingular subscribers are still carrying around phones bearing the name and logo AT&T Wireless — artifacts of a tongue-twisting corporate saga. Today's AT&T was known as SBC Communications until late 2005, when that regional Bell company acquired its former parent, the AT&T Corp. long-distance business. Several years before that deal, the AT&T long-distance company spun off its cell phone business, AT&T Wireless, as an independent concern. Then, in late 2004, AT&T Wireless was acquired by Cingular, which had no real desire or legal right to adopt a brand still owned by the AT&T long-distance business. Instead, Cingular parents SBC and BellSouth decided to unify the companies under the Cingular brand, neither one realizing they'd all soon be merged into one company called AT&T. Estimates vary widely, but there's no doubt that billions of dollars have been spent creating the Cingular brand from scratch and marketing its products under that name. When the AT&T-BellSouth acquisition was announced last March, executives estimated the combined company would save up to a half billion dollars a year on marketing. Overall, those savings are expected to account for a fifth of the estimated $14 billion in operational savings the deal is projected to allow over time. The decision to rename Cingular as AT&T rather than AT&T Wireless reflects the company's push to sell a wide bundle of services, with a growing level of integration between wired and wireless capabilities that make such distinctions less meaningful. For example, AT&T has said it wants to let customers use their cell phones to check the channel guide and record programs on the new U-verse cable TV service AT&T is launching. The ad campaign will borrow from Cingular's "Raising The Bar" theme with the phrase "Raising It Higher." Each commercial will end with an animation in which the Jack character appears to skywrite the AT&T globe while an announcer states that "Cingular is now the new AT&T."